The assessment and management of perioperative pain in an intensive care setting is complex and challenging, requiring several patient-specific considerations. Administering analgesia is difficult due to interacting effects of pre-existing conditions, interventions, and deviation from standard levels of expressiveness of pain. A significant part of this complexity also arises from the reduced capacity of critically ill patients to fully communicate the severity and nature of their pain. We provide an overview of pharmacological approaches and regional techniques, which can be employed alongside the management of anxiety and sleep, to alleviate pain in the critically ill patients in the perioperative period. These interventions require additional assessments unique to critical care, yet achieving pain relief for improving clinical outcomes and patient satisfaction remains a constant. The latest research has found that the development of standardized mechanisms and protocols to optimize the diagnosis, assessment, and management of pain in the critically ill can provide the best outcomes. 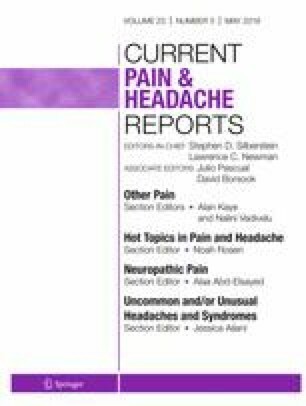 The numerical rating scale, critical care pain observation criteria, and behavior pain scale has shown higher reliability to accurately assess pain in the critically ill. Most importantly, preemptive analgesia and the emphasis on early pain control—in the perioperative setting, ICU, and post-discharge—are crucial in minimizing chronic post-discharge pain. Finally, the multimodal approach is still found to be the most effective. This includes pharmacological treatments, regional nerve block, and epidural techniques, as well as alternative methods that are cheap, safe, and easily available. All these together have shown to help control pain, provide psychological support, and prevent long-term co-morbidities in the critically ill. Largely, pain in the critically ill patient is still a very complex issue that requires appropriate diagnosis, assessment, and management of the pain itself and treating all the underlying co-morbidities as well. Many different factors makes it challenging, especially the difficulty in communicating with an ICU patient. However, by looking at the patient as a whole, treating pain early with the multimodal approach, there seems to be some promising results in improving outcomes. It has shown that the improved outcomes in critically ill patients in the perioperative period seen with optimized pain management and ICU can shorten hospital stays, decreased inpatient costs, and limit the use of limited resources. Michal Czernicki, Sreekumar Kunnumpurath, William Park, Anamika Kunnumpurath, Gopal Kodumudi, Jing Tao, Vijay Kodumudi, Nalini Vadivelu, and Richard D. Urman declare no conflict of interest.